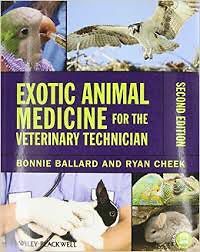 Exotic Animal Medicine for the Veterinary Technician, Second Edition is a comprehensive yet clear introduction to exotic animal practice for technicians in the classroom and clinic setting alike. With an emphasis on the exotic species most likely to present to a veterinary practice, the book offers easy-to-follow descriptions of common procedures and techniques. Covering information ranging from anatomy, restraint, and common diseases to radiology, surgical assisting, and parasitology, Exotic Animal Medicine for the Veterinary Technician provides technicians with all the information necessary to confidently and competently treat exotic patients.